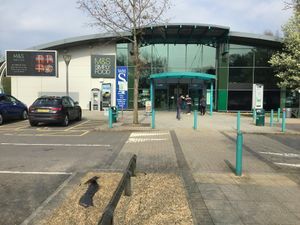 A service area with a history of operators, with three different operators currently providing a small range of catering and shopping facilities. Prices are paid using PayByPhone - more details. The location code is 2477 (northbound) and 2478 (southbound). A fairly obvious example of the many rebranding efforts from the current owners. Winchester's location has been slated because not only is it quite a way from the city of Winchester, but it's located between where a substantial amount of traffic leaves for the A303 at J8 and a substantial amount of traffic joins from the A34 at J9. Several services had previously been considered around J7, but these were ruled out as the junctions here are close together and busy, so Winchester was seen as a better site. Many of the planned services north of here pre-dated this part of the M3. Unusually, the services used to have one secret exit: in other words, authorised traffic could access the southbound services via Chillandham Lane, whereas northbound visitors had to use the M3. This has now been closed off. Another odd curiosity is the repeated advance signs for the services that are on the motorway, for no apparent reason. The northbound signs all have a covered-up motel symbol, which may be an error or a clue to an unfulfilled plan. Scenes from Gladiator were filmed near here before the services were built. Here, the Days Inn is operated by Welcome Break and the BP filling stations, which are both owned by Extra, are leased out to 'BJ Swift' on the northbound side and 'Carver Fuels Limited' on the southbound side. 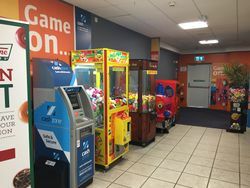 Jeff Stelling revealed that he did most of his research for that day's Sports Saturday at the northbound services, as that was where he could get some peace. This small piece of trivia has gone on to become Hampshire folklore. Evidence of the former operator is still on display inside the northbound building. The services were built in a joint partnership between Swayfields and Roadchef and the opening was delayed for several years, finally happening in 2001. On 19 November 2008 Roadchef sold their part (everything except the petrol station) to Moto for £9.5 million as they wanted to channel more money into their existing sites, and until now Moto didn't have a service station in this area. The services still use Roadchef's style of road signs. Space was left for a motel to be built on the northbound side, but this was never used. The southbound motel opened with the services. When they owned the services, Roadchef described them as being "attractive". Mm. In June 2007 staff at the services were threatening to strike after Roadchef said they would withdraw their coach service from Southampton and Winchester provided specifically for staff at the services who couldn't/didn't want to drive. The West Cornwall Pasty Company outlet here is one of the two first internal West Cornwall Pasty Company outlets at a Moto site. The northbound restaurant was replaced with an M&S Simply Food store, with southbound later following.